There is no other name as synonymous with the second (and continuing) video game boom as Mario. Without the success of Super Mario and his brother Luigi, it can be argued that the industry would have fizzled into obscurity for at least a generation. On June 3, 1986 the sequel to the smash hit Super Mario Bros. was released for the NES. 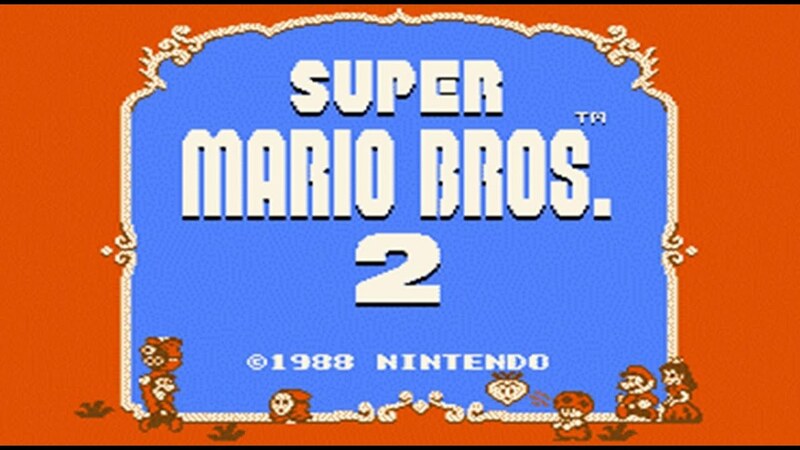 The inital release of Super Mario Bros. 2 - which has been theorized to take place in a dream - took place in Japan for the NES and Famicom Disk System under the name Super Mario Bros. USA. The actual American version of the game wouldn't be released until October of 1988. By the end of its initial run, it would be released on 6 different systems and sell over 10 million copies. The game has since been released for various Nintendo DS handhelds and in GameCube and Wii system collections for today's youth to enjoy. Not bad for a plumber, his brother, a princess and a little dude that's a mushroom. Here is the world-record run through of the game. No glitches or anything.